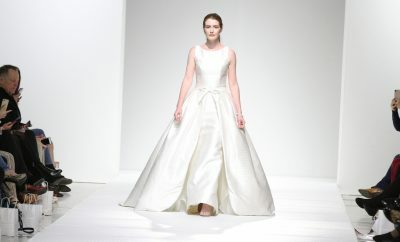 Lindsy was able to honor her late grandmother by tucking a locket with her picture and handkerchief inside her bouquet. Ryan also had the stone from her grandmother’s ring reset into Lindsy’s engagement ring, allowing Lindsy to always have a piece of her grandmother with her. 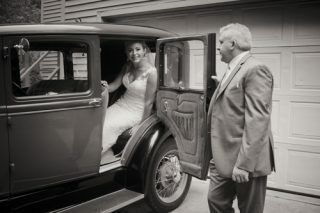 The couple took photos in a 1930 Ford Model A sedan that the bride’s father restored. 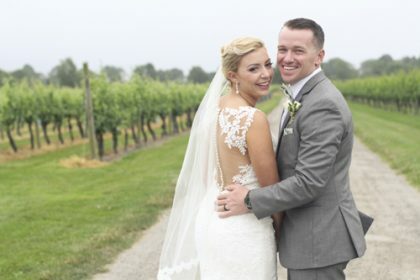 Lindsy and Ryan took every opportunity to embrace the rustic yet modern feel of Newport Vineyards. 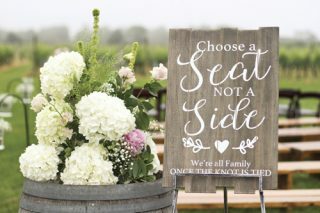 Decor and signs were designed to match the fixtures and style of the space including wine barrels as display tables, and reclaimed corks that shared the table seating assignments. 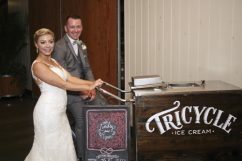 In addition to their wedding cake, they also featured Tricycle Ice Cream presented in a wooden cart. 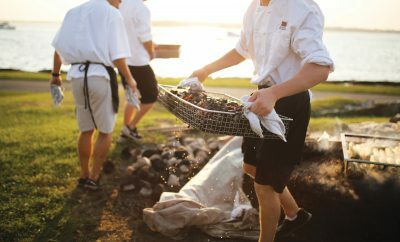 The pastel and copper color palette was showcased in the bridal party’s attire. 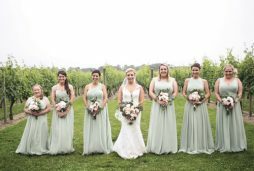 Lindsy’s Estee Bridal lace, fit and flare gown was perfectly complemented by the bridesmaid’s full-length sage chiffon dresses. 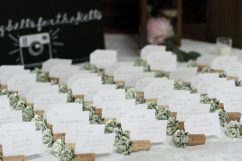 The groom and groomsmen were looking dapper as well in grey suits with pastel sage green ties. 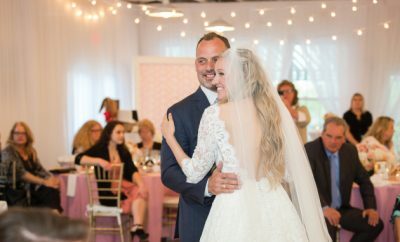 After soaking up the sun in St. Lucia on their honeymoon, Lindsy and Ryan returned home to Cranston, RI where Lindsy works in jewelry merchandising and Ryan at Atlantic Plumbing and Heating Supply. 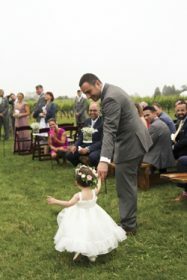 They welcomed a daughter, Meadow, in April.